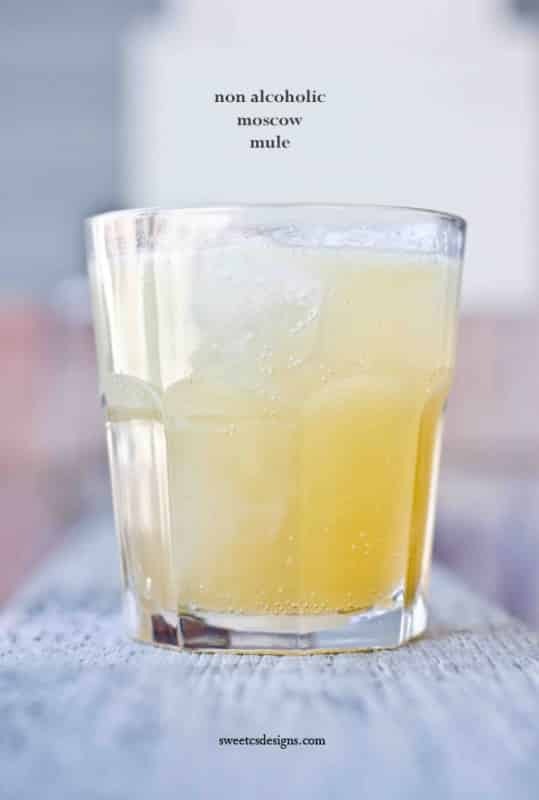 This recipe for Non Alcoholic Moscow Mules is something you’ll want to have anytime! So, here’s the thing… if you’ve enjoyed a mule at a restaurant or bar, you know they come in ADORABLE little copper cups. But they can be kind of pricey. If you’re into them, you can find some good deals all over amazon, or even at williams sonoma, west elm, or other specialty kitchen store. I’m not photographing this drink in the copper mug because I haven’t found one with the shape I love for under $30 something a mug- and you wouldn’t really see the drink in it. So no going off on how I don’t have the proper mug for this… they really do taste better in the mugs, but it’s not a practical thing to buy if you’re on a budget. You might not ever have had ginger beer – which isn’t alcoholic– but you should give it a try! It is much more ginger-y and spicy than ginger ale. 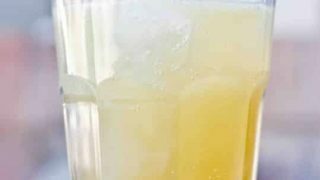 Ginger ale is NOT a substitute for ginger beer in this recipe- it will be far too sweet and won’t have the bite that ginger beer has. If you aren’t a drinker, you might not have a shot glass… but they are really practical for measuring liquids into ounces. You can find some online or in stores with a wide selection of glassware that are stainless steel and less frat-boy looking. Concentrated lime juice is easy, but fresh lime juice tastes the best. You can find some lime juice with simple syrup in it with other drink additions like grenadine. You can also try this recipe with lemon juice for a different citrus flavor! This recipe is for one person. If you’re making it for a large party, add ingredients for every 1 1/2 people who will be drinking this. Also, be sure to make ginger beer-lime juice ice cubes if you’re making a big batch. It will keep the drink from being really watered down. If you’re making just one for yourself, go ahead and use regular ice. Don't use a shaker for the non alcoholic version- all the sodas will cause too much carbonation! Add all ingredients and stir well. Pour into glass and stir in ginger beer.